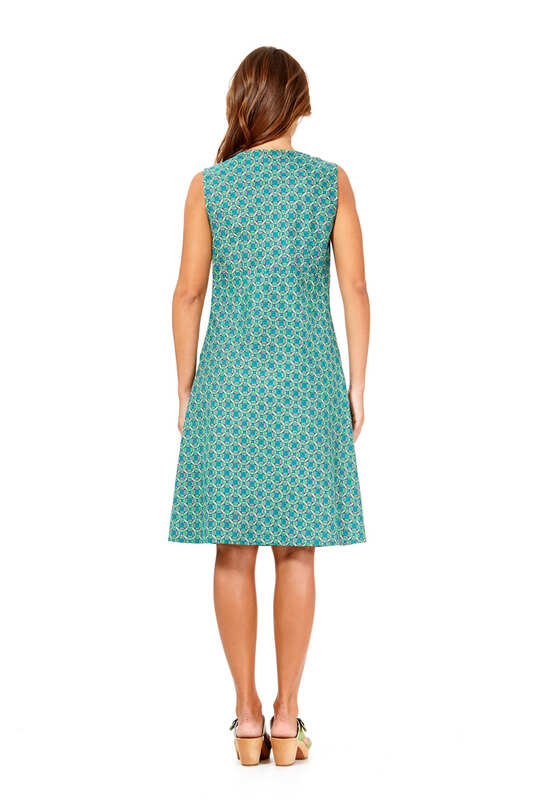 Meet Jaya our new Bias cut super flattering dress with lots of piping trim details and cut in a great flattering shape .So easy to wear the Rasaleela "Jaya " dress which is based on our Davina dress pattern block and comes in our gorgeous Green Chakra print with its small geometric pattern . Its got summer written all over it . An all–occasion dress from morning to night, flats to heels – the choice is all yours.